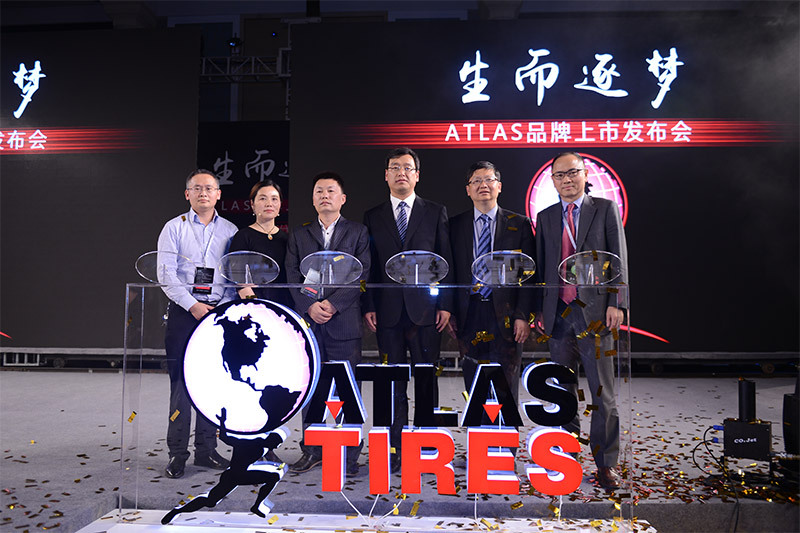 ATLAS Tire Made Its Appearance in Chinese Market | Linglong Americas, Inc.
On April 22, 2017, the Brand Launch Ceremony of ATLAS Tire in Chinese market was held in Shanghai, and its theme was “Live For Dreams”. The agents of ATLAS brand across the country, Linglong’s global partners and media friends witnessed this moment. In 2009, Linlong Tire made ATLAS become its tire brand and began to rebuild this brand, aiming at bringing the world-class quality and perspectiveness of ATLAS to domestic market and building a high-end tire brand market for Chinese market. After several years’ development and testing, ATLAS tire made its appearance in Chinese market officially. During the conference, the chairman of Linglong Tire, Mr. Wang Feng said: "we will provide our best technical resources and dedicated production line for the continuous service of ATLAS. Meanwhile, in the brand promotion and sales channels, ATLAS Tire has a professional as well as independent team and a brand new sales mode, in order to adapt to the globalization of high-end brand promotion. The seven ATLAS tires showing on the ceremony will be sold at national strategic markets gradually, which could provide the comfort driving experience for the customers pursuing high quality. It is well believed that ATLAS Tire will continue its glory of over 100 years.